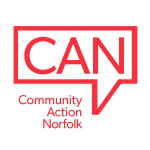 This update is provided by James Kearns, the Chief Executive of The BUILD Charity, who was appointed to the Norfolk Safeguarding Adults Board to provide a perspective to the Board from a voluntary sector provider of services to vulnerable adults. #VillageHallsWeek Resource: Insurance - Just what does your village hall need? Village Hall Week runs from 22nd to 28th January. To support and celebrate our village halls we will be sharing an article every day during this week. These notes highlight the key points from a recent meeting of the Board, to share information to colleagues. It is not a policy statement from the Board. As Autumn draws in, we know that many of you start to hold more events. It is a good time to take stock and make sure you are complying with the law and safeguarding your organisation and service users. Automatic disqualification rules with greater restrictions on who can be charity Trustees and Senior Managers came into effect in August. Automatic disqualification rules with greater restrictions on who can be a charity Trustee and Senior Managers will come into effect on Weds 1st August, those who will be affected by these changes can apply for a waiver from Thurs 1st February. Village Hall Week runs from 22nd to 25th January. To support and celebrate our village halls we will be sharing an article every day during this week.